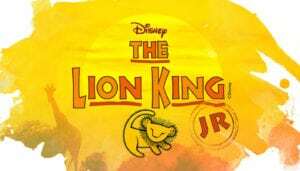 CenterStage Academy Players present Lion King Jr.
Disney’s The Lion King has captivated the imagination of audiences around the world and now, for the first time ever, you have the opportunity to produce this one-of-a-kind musical in your your school. The African savannah comes to life on our stage with Simba, Rafiki and an unforgettable cast of characters as they journey from Pride Rock to the jungle… and back again, in this inspiring, coming-of-age tale. There are only 20 spots available. First come, first served. First payment is due at registration to hold your child’s spot in the class. Rehearsals: Wednesdays 4:30-6:30 p.m., Sundays 3:30-4:45 p.m.
Orientation: Wednesday, September 26 at 4:30 p.m.
Sunday, February 17, 2017 at 2 p.m.